I read this article and found it very interesting, thought it might be something for you. The article is called Hemlines: Carrie Ann Moran – Fashion Revolution Ireland and is located at https://www.totallydublin.ie/more/hemlines-carrie-ann-moran-fashion-revolution-ireland/. 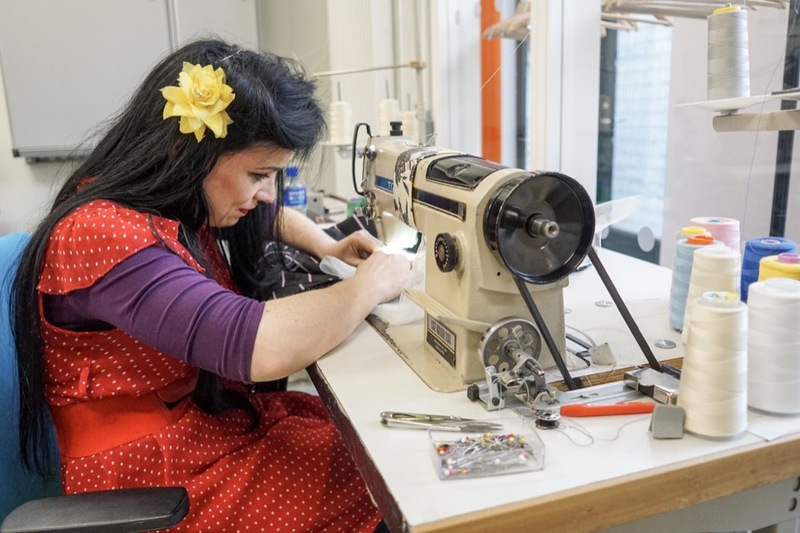 The Rediscovery Centre’s Carrie Ann Moran – impassioned leader of Fashion Revolution Ireland – talks trailblazing change and the circular economy. An unmistakable landmark encroached by a mishmash of Celtic Tiger builds, the Boiler House has been a solid fixture on Ballymun’s cityscape for nearly six decades. Supplying the surrounding neighbourhood with invaluable heat and water sources, the first inklings of its demise surfaced as demolition schemes began sweeping through the city. Come 2012, rumours had turned into reality: a demolition date was finally set, with word reaching the still-budding Rediscovery Centre, a social enterprise scattered across different Dublin-based locations. Once the team discovered this last remaining relic of Old Ballymun was in jeopardy, they sprung into action: “We immediately made a play for it,” recalls the centre’s CEO, Dr. Sarah Miller. 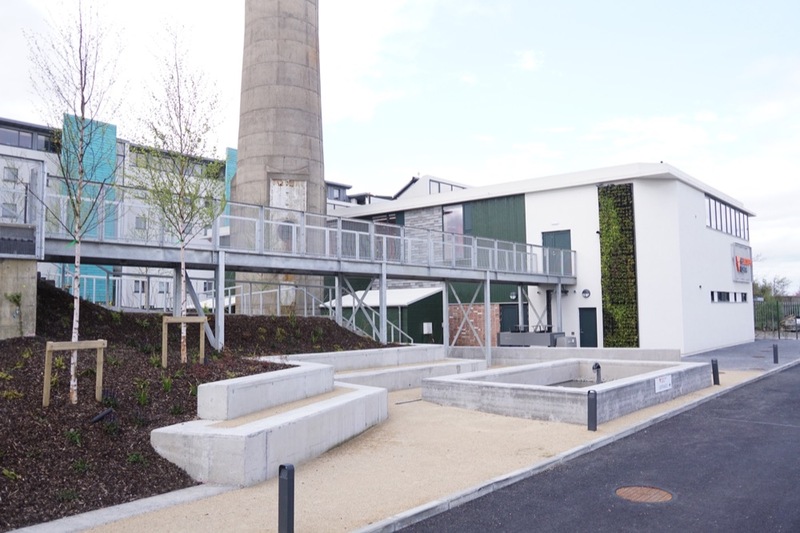 “We made a visit to the corresponding department and the Dublin City Council and said, ‘if you’ll give us the money that you’d spend knocking it down, we’ll go to Europe and get the rest that we need.’” Devising a groundbreaking blueprint that saw the Boiler House refitted as an education and skills-development centre, demonstrating the benefits of resource, reuse and recovery, the project was green-lighted by the EU’s Life+ environment programme in 2014; a staggering €3.6 million was received to fund its construction. The Boiler House’s second incarnation – its red-striped chimney mercifully intact – has broken the mould for construction across Europe, let alone Dublin itself. Blending old and new features played a pivotal role: every pre-existent feature was salvaged where possible, from the durable steel girders to the indestructible concrete flooring – which has also minimised its carbon footprint – while reused sheep wool and hemp provide wall insulation, to name but a few up-cycled features. The Rediscovery Centre triumphantly moved into their new space in 2017, finally uniting their four-pronged enterprise under the one (hemp-concrete-cladded) roof. The space is the first of its kind on European shores to configure a “3D textbook” model, which shuns conventional classrooms in favour of more collaborative spaces for scientists and creative trailblazers. Student workshops and teacher-training programmes spearhead a fresh, engaging genre of sustainable education, the contents of which are adapted by the day. And while the first three facets of this social enterprise – Rediscover Furniture, Rediscover Cycling and Rediscover Painting – boast inventive ways to embrace ethical consumerism, its Rediscover Fashion section, led by the barnstorming Carrie Ann Moran, especially shines. Starting out in law led Moran to study environmental policy and legislation, the knowledge from which she took with her when she traded the role of solicitor for fashion school. While sustainability simply wasn’t present in third-level programmes, she took the initiative to ask questions – “Where is all this stuff going to? Is it going in the bin? 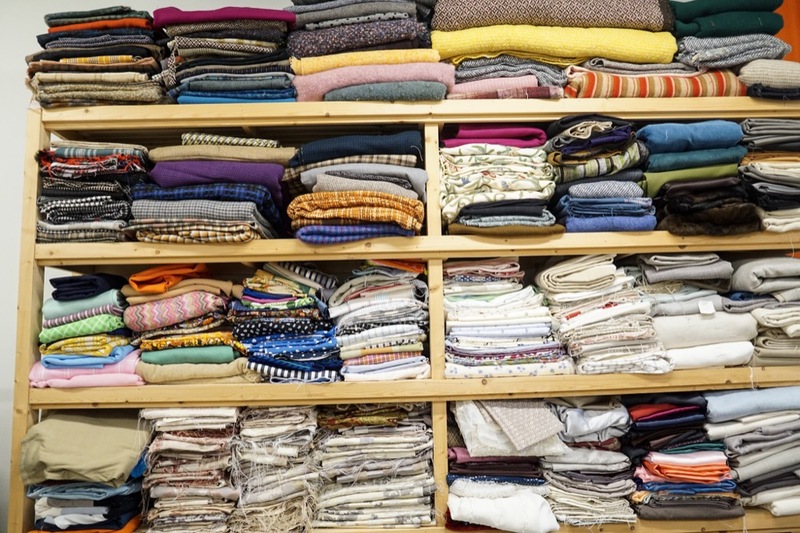 10% of all textile waste takes place on the cutting room floor: that equates to a vast amount. So that was my initial entry. I investigated further and had this moment of feeling that if I was going to [go into fashion], I was going to do it right. There wasn’t really anything happening in Ireland at the time [regarding sustainability], but my collections were all made from recycled textiles – I graduated with 80/90% of my designs made from repurposed, second-hand fabrics.” Her ties to the Rediscovery Centre naturally transpired when she applied to work on a fashion show there with other designers, the core theme concerning textile waste. 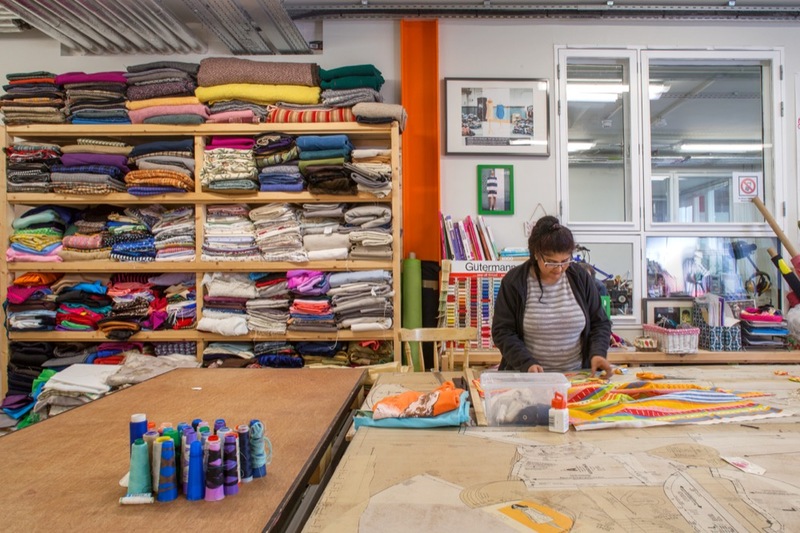 Rediscover Furniture had been established at this stage (Miller commenced operations in 2004) and in 2008, Moran was asked to move Rediscover Fashion from initial concept to “creative, re-use social enterprise model… I’ve been trucking away at that ever since”. As for where Moran would love to see Ireland in ten years? The answer is simple: “circular fashion and sustainability as the norm. All brands having to be compliant with circular-fashion policies, ethically and sustainability sourcing. I’d love for that to not be boxed off into a particular category. Once sustainable habits form, and once you have access to eye-opening resources, it becomes part of your conscience – and that’s at the core of our Fashion Revolution platform, or what we at the Rediscovery Centre do. We’re exposing the information, putting it out there for people to make their minds up – then it’s up to them to decide what route they want to choose”.